Barcelona was the “beachiest” city I’ve ever seen. I’ve been to many coastal cities but they don’t have the effervescent vacation vibe that’s engrained throughout Barcelona. 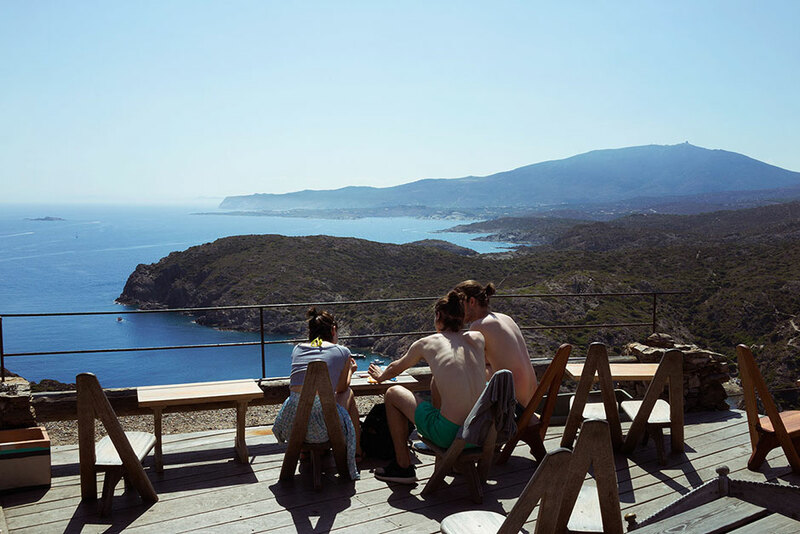 You can bounce around between urban landmarks and then, within minutes, arrive at the beach for a Pina Colada or a dip in the warm Mediterranean water. 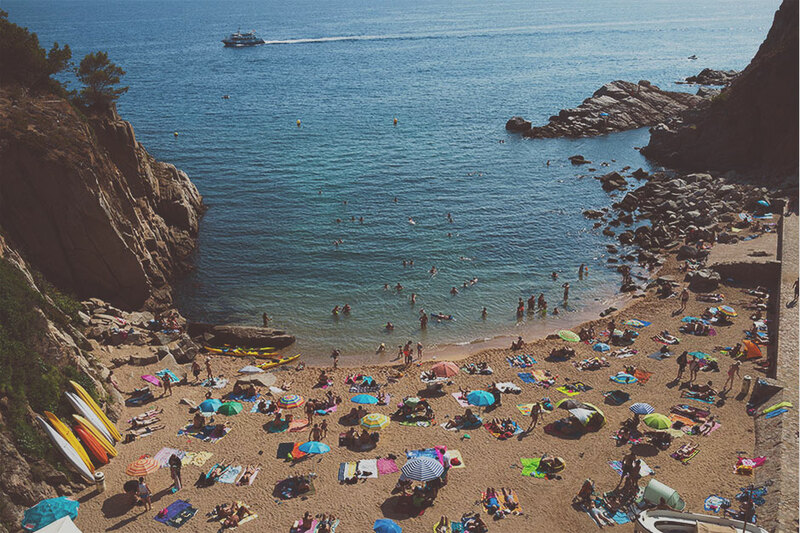 We spent our first few days here before traveling north up the Costa Brava – a series of beach towns along a rugged coast with calm waters and little swimming coves. 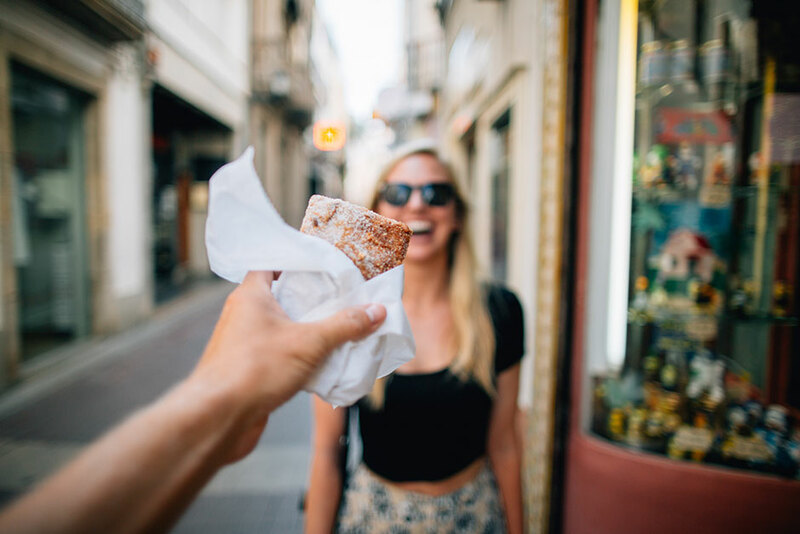 I compiled a list of the best things to do in Barcelona (and the best places to eat! 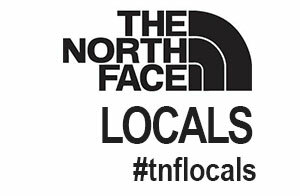 ), after receiving notes from a few friends who’ve lived there. I think this will be the most helpful information, should you decide to travel here too! Els 4 Gats (Gothic Quarter – Picasso used to hang there). Balthazaar: Great spot for a nice dinner oustide of the tourist area! Very affordable for a large group. NOMO: great sushi spot above Diagonal (a bit far from touristy areas with most hotels). La luna de Jupiter – a hidden gem but super hipster. Sutton is the best nigh club – try to get there before 2 am and you can get in free on the guest list. Elephant is another great club but a little far from the city center. Pre-game at Espit Chupitos (a shot bar) by the water. You take the aerobus from the airport (big blue tourist bus that runs every 10 minutes) into the city- its only 6 or so euros each and takes you right to the city. Or you can take a cab into the city for about 40 euros. I’d take cabs over metro in general unless it’s really far- cabs are really cheap and easy to find. Don’t have to tip in restaurants or cabs- at most a few euros at a restaurant (they don’t expect it). Be smart about pickpockets in the obviously tourist spots! I’d suggest just exploring the different neighborhoods on foot and try to get out of the touristy spots when you can so you can see the real Barcelona. 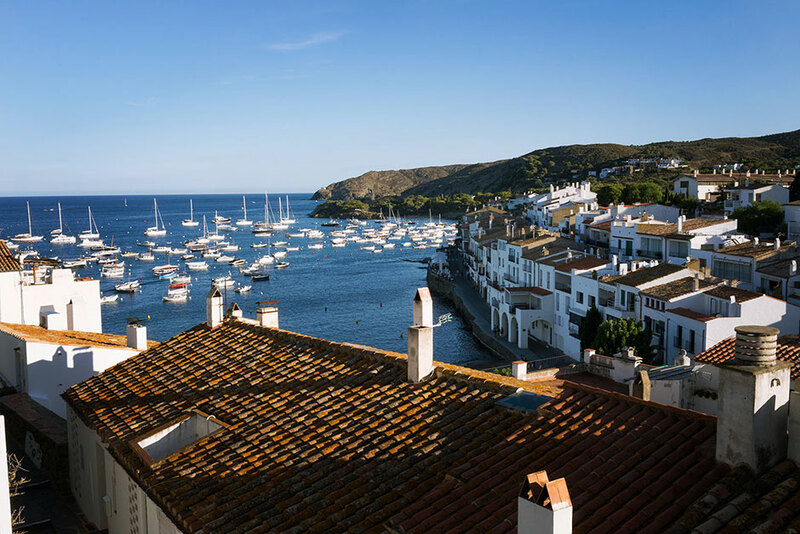 Our next stop was Cadaques, the most picturesque little beach town with white buildings, pebbly beaches, and little boats bobbing in the bay. It’s a 3 hour drive north of Barcelona over a winding coastal mountain pass. In the car, we descended towards the town and our jaws dropped. 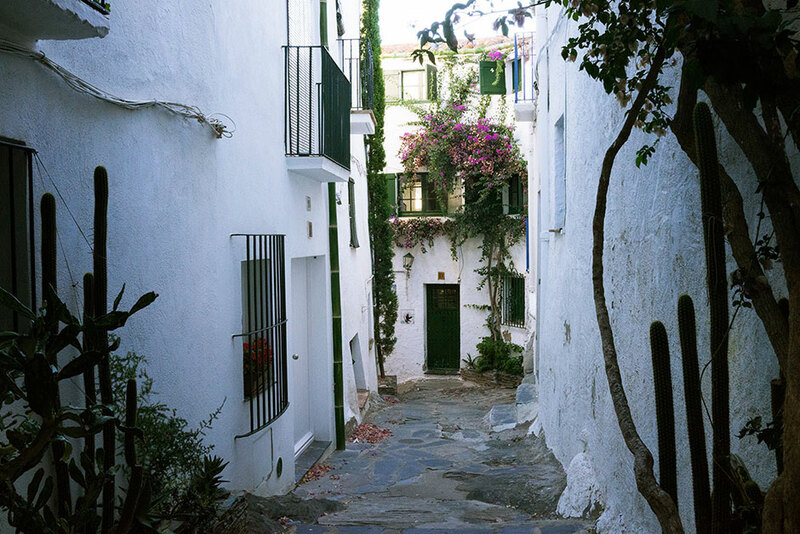 Cadaques is like a Mediterranean Santorini. I’ve never seen such a quaint place in my life. This is the sort of town where you have a less regimented tourist agenda. 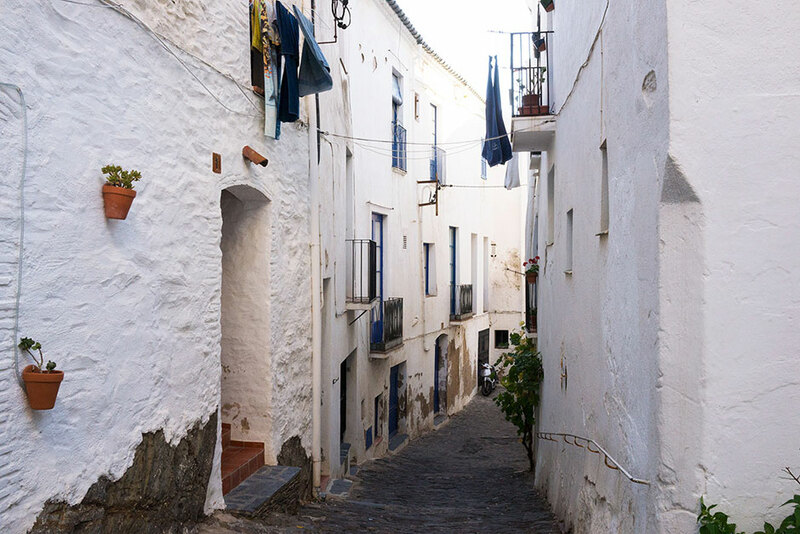 Wandering the cobblestone alleys and stumbling upon places to eat is how you should experience Cadaques. I had the best gelato of my life here, and also the best paella. You can stroll along the shore and find lots of different little beach coves to sun bathe or swim throughout the day. 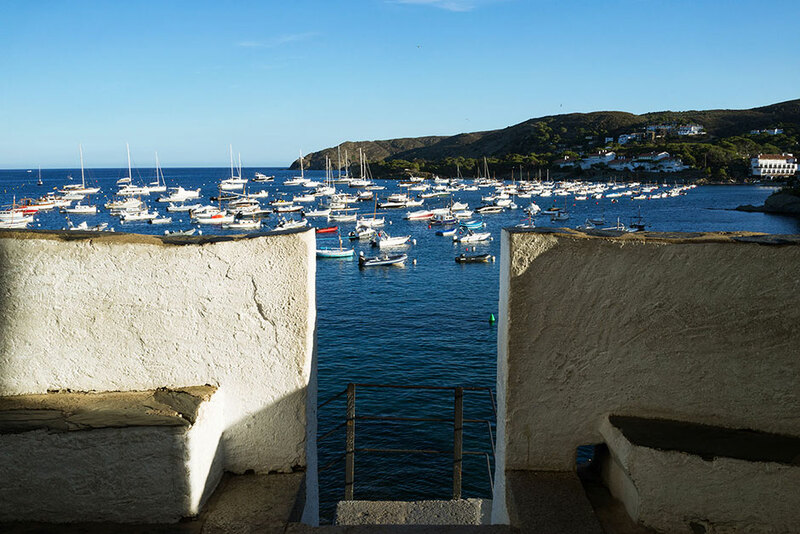 The one trip that you MUST take when in Cadaques is to a place called Cap de Creus – a peninsula and a headland located at the far northeast of Catalonia, about 25 kilometres south from the French border. It’s a 20-30 minute drive north of the town. Here you’ll enter a coastal wilderness area with a narrow road that ends at a little mountain with a restaurant/bar at the top! It feels so remote when you arrive that it seems mysterious that anyone else found this restaurant too! 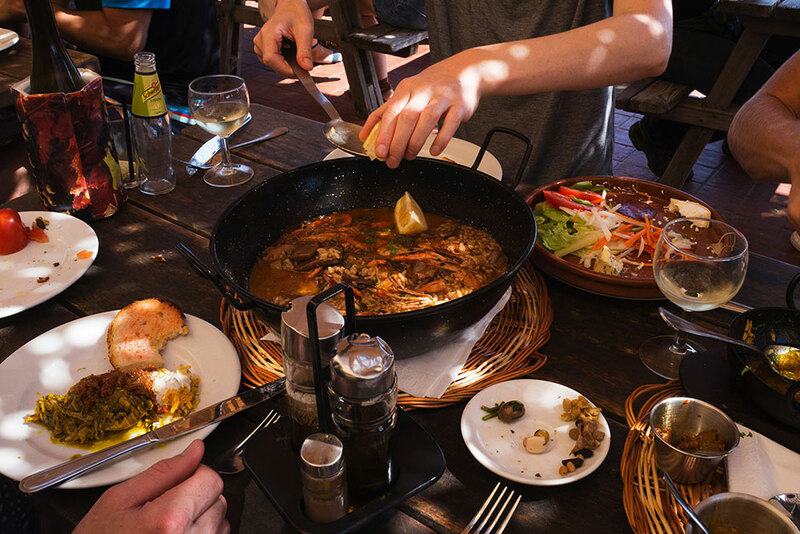 It’s rustic, the food is incredible, and you can’t tell if you’re in France or in Spain. I can easily call this Cap de Crues restaurant one of the most magical little spots I’ve been in the world. 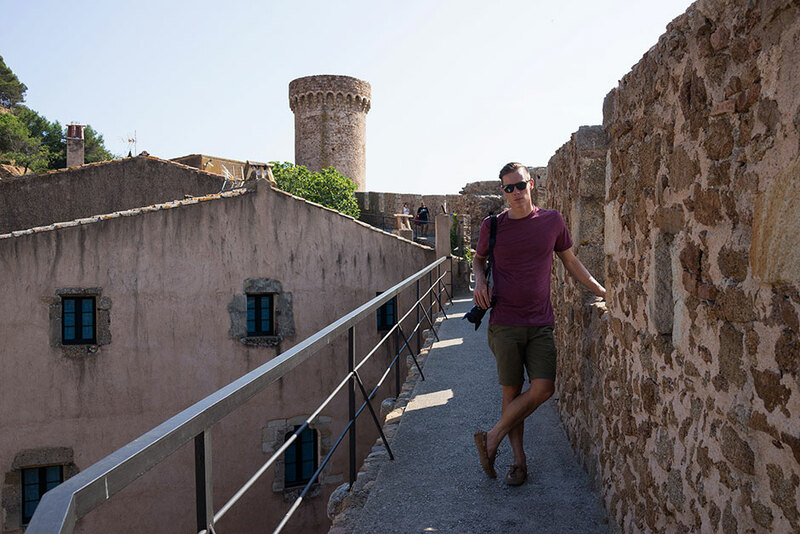 For our last stop of the trip we back-tracked down south on the coast to Tossa De Mar, another beach town just an hour outside of Barcelona. This was a stark difference from Cadaques and we were a bit shocked!! It’s much more urban, touristy, and less picturesque. Admittedly, it’s a bit more trashy than the rest of Costa Brava. But there are a few big upsides to this place! There are big, beautiful sandy beaches (not your typical Mediterranean pebble beaches). Our hotel was also my favorite of the trip. It’s called Hotel Diana and it’s a historic building with a boutique hotel feel. We splurged a little more to stay here, but it was the perfect retreat for air conditioned naps between beach sessions! One more thing – there is a HUGE castle here! Right on the water! I felt like a little girl again, prancing around through the medieval alleys and candle lit restaurants dispersed around the castle village. 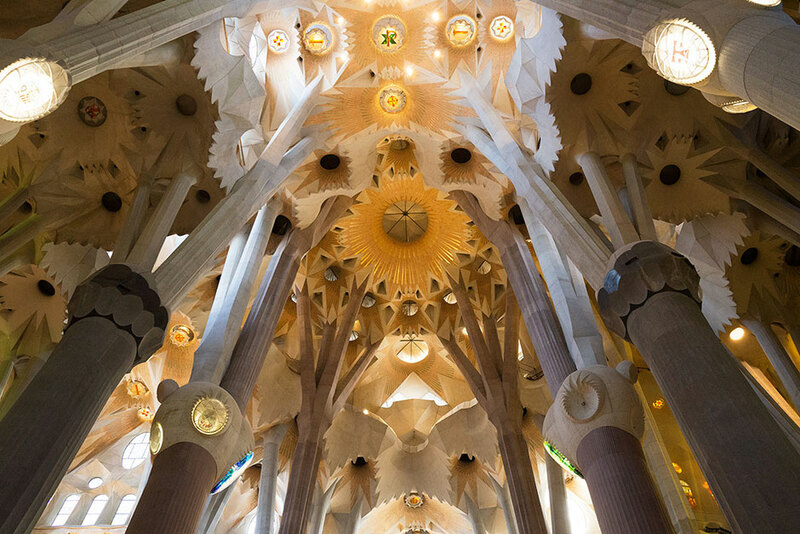 Catalonia was the perfect getaway for a taste of foreign culture and some much needed relaxation time. 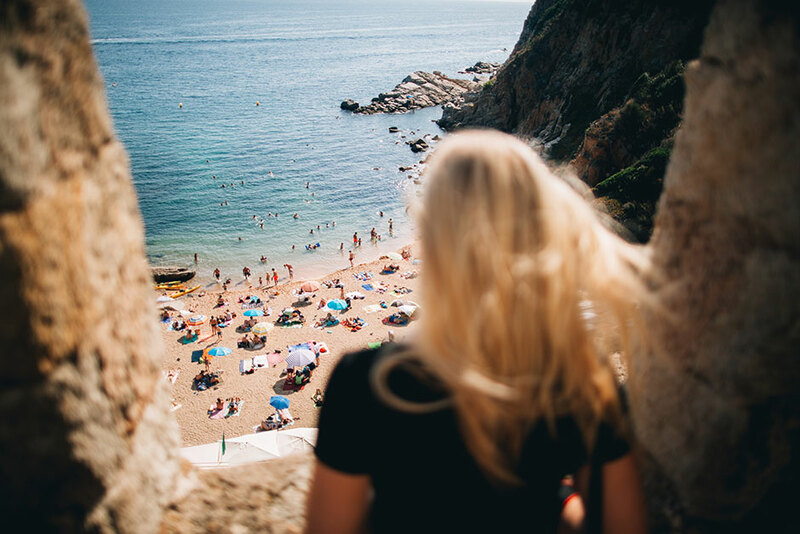 The combination of Barcelona city-life and the laid back coastal vibe of the Costa Brava made for a whimsical combination of energies. There are many journeys I’ve done where “once is enough”, but I can confidently say that this is a trip I’d do multiple times — which means it’s RAD! Camping in Tahoe with Kammoks! These pictures look awesome! I especially love the picture of those snazzy bikes. 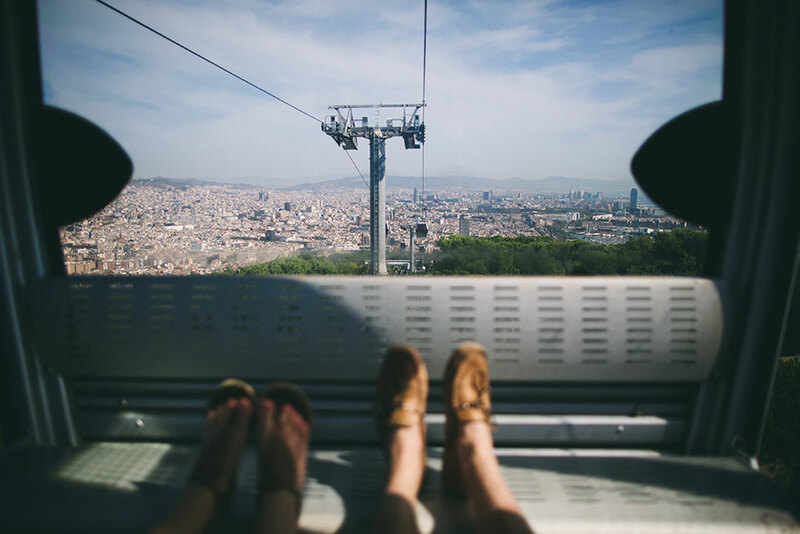 As a beach bum, these pictures have me wanting to check out Barcelona! I have never been there but I always see travel deals online..perhaps now I will have to go! Thanks for reading, Courtney! Aren’t those bikes awesome?! I hope you get to check out Barcelona soon!